2K Sports presents a behind-the-scenes look at the making of NBA 2K16 and the special motion capture that make the series one of the most realistic sports gaming experiences out there. 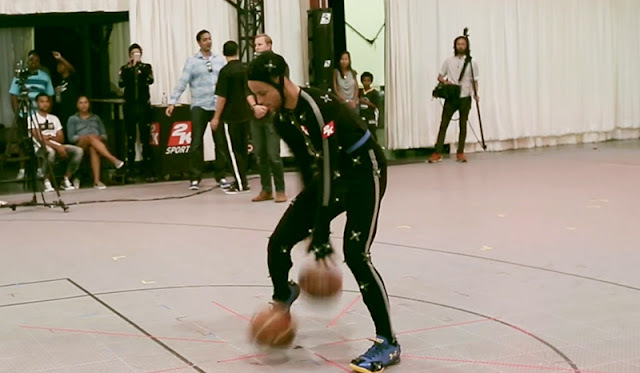 The video features the reigning regular season MVP Stephen Curry wearing a mocap suit and performing various dribble moves and jump shots. The animators use this technology to add the physical likeness of a player and to create the seamless motion that you see in the game. Here is a sneak peek of the making of NBA 2K16. NBA 2K16 will be released on Xbox 360, Playstation 3, Xbox One, PlayStation 4 and PC on September 29, 2015. Stay tuned for updates as more information becomes available.